Moles are growths on or under the skin, typically black or brown, that can appear anywhere on the skin. 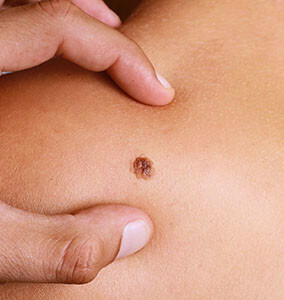 Many adults have multiple moles on their bodies. Over time, moles can slowly add hair, or change its colour. They are removed for a number of reasons, but most commonly for cosmetic concerns. Moles are typically removed through excision that may or may not involve stitches. Patients will work with Dr. Harris to determine the best approach for mole removal, as it depends on the size and depth of the mole, as well as the desired cosmetic outcome.